Upgrade the amenities of any of your bathrooms by choosing the Premier 6036 combination tub. 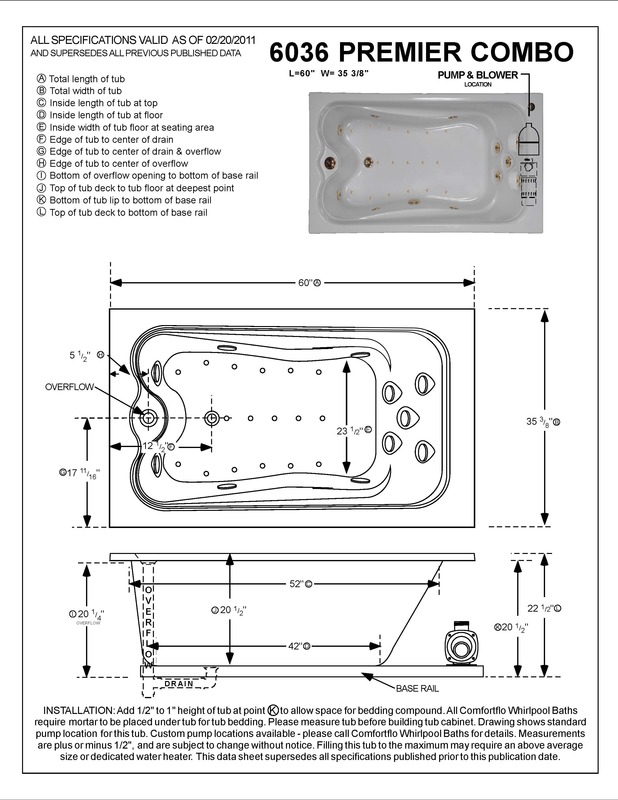 Provide yourself with the ultimate spa treatment as five recessed hydrotherapy jets target your back and two on each side reach your thighs and calves. At the end of the tub, two integrated arches, complete with jets, accommodate each foot. A top-grade nine-amp pump powers the jets. A total of 18 air injectors infuse the water with myriads of bubbles. Enjoy more bathing space without sacrificing floor space with the Premier 6036. Its smart design maximizes its dimensions and provides a few more inches of width for added space. It’s perfect for a bath/shower combination. Our Top Overflow drain adds extra depth too, allowing at least 20% more water capacity than side wall overflows. A gently curved back and sculpted armrests let you recline in comfort. 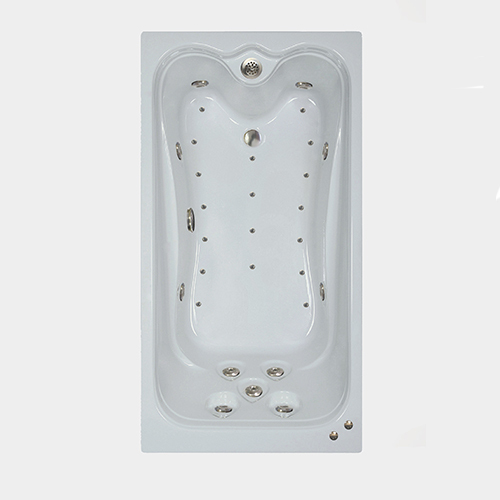 Built to our exacting standards, this bathtub has all the advantages of durability with all the luxuries of a spa.